The level of immunity to the recently circulating H7N9 influenza virus in an urban and rural population in Vietnam is very low, according to the first population level study to examine human immunity to the virus, which was previously only found in birds. The findings have implications for planning the public health response to this pandemic threat. The study used a new, high throughput method that allows blood samples to be analysed for antibodies to multiple human and animal influenza viruses at the same time and is easier to standardise than previous techniques. However, the assay is yet to be validated clinically for the H7N9 virus, and the researchers caution that the results must be interpreted with care. Since the first case of H7N9 infection in humans was reported in February 2013, there have been 131 confirmed cases and 36 deaths, all in China apart from one case in Taiwan. All of the infections seem to have come from infected poultry and there is no evidence of sustained transmission between people. One of the first key pieces of information that officials need when considering how best to respond to the threat of a pandemic is how much, if any, immunity the human population has to this virus. This helps to predict where the virus is likely to affect first and how likely it is that the virus will spread further. Having this knowledge also helps to understand the risks of severe infection, as well as helping to target protective measures such as where to direct antiviral medication. Researchers at the Wellcome Trust Oxford University Clinical Research Unit (OUCRU) in Vietnam tested 1723 blood samples collected in southern Vietnam for the presence of antibodies to five different bird flu viruses, including one from the H7 sub type. The presence of antibodies would be an indication of past exposure to these particular strains of flu. They used a new technique that was developed by their research collaborators at the National Institute of Public Health of The Netherlands that is faster and easier to use than previous methods. 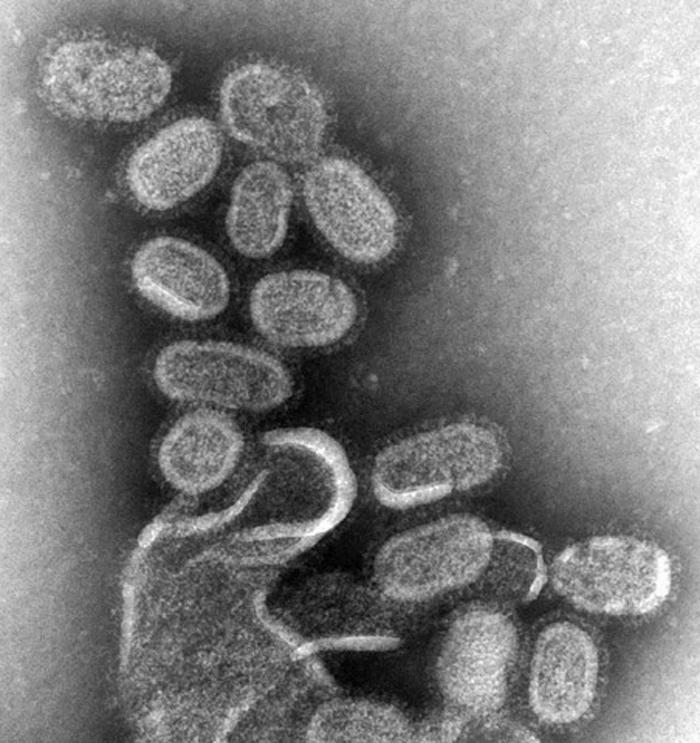 The results reveal that although the level of antibodies to the H7 sub-type of flu virus are higher than any of the H5 sub-types tested, levels of antibodies to all five bird flu viruses are much lower than to human flu viruses. This suggests that people living in this particular area of Vietnam have had very little or no exposure to the H7 sub-type of virus, similar to other bird flu viruses. As this population of people would be expected to be among the first to be affected in the event of a pandemic, these findings have important implications for pandemic preparedness plans in this area. Dr Maciej Boni, a Sir Henry Dale Fellow at the OUCRU and first author of the study, explains: "H7N9 is a virus that until now has only infected birds so it's not surprising that we don't find much evidence of humans having been exposed to it. It is reassuring that in Vietnam we don't see any evidence that the current outbreaks represent a tip-of-the iceberg observation of widespread H7N9 infection in people. On the other hand, the low antibody levels indicate that there is likely to be very little immunity to this virus." Around half of the samples were taken from an urban environment, Ho Chi Minh City, and half from a rural area, the nearby Khanh Hoa province. The team found no difference in the level of immunity to bird flu viruses between these two populations, even though people living in rural areas are more likely to live in close proximity to poultry. "It has been suggested that people who live in closer proximity to chickens and other birds will have higher levels of immunity to bird flu viruses simply because their exposure is likely to be greater. However we find no evidence for this. Our findings would suggest that both rural and urban populations should be treated the same when considering how best to respond to the threat of an outbreak," added Dr Boni. Professor Jeremy Farrar, Director of the Wellcome Trust Major Overseas Programme in Vietnam and the Oxford University Clinical Research Unit Hospital for Tropical Diseases, explains: "This is the first study to give us information about the level of antibodies and potentially human immunity to this new bird flu virus, H7N9 in the region. But we need to interpret the findings cautiously, these assays are relatively new and we need to understand how they correspond to existing assays and how they reflect past infection and true human immunity. "We know that antibodies are very important for immunity to other flu viruses but at this stage, we still don't know what level of antibody measured using this assay would provide protection against this novel strain. Further studies will be needed to understand the clinical relevance of these new assays, how they compare with classic techniques and what the apparent absence of antibodies to these viruses in the human population means. However these new techniques do allow for much higher throughput of samples, ease of use and once validated may allow much more rapid assessment of the spread of infection and levels of population immunity than do traditional assays." The study, which was carried out in collaboration with scientists at the National Institute for Public Health and the Environment (RIVM) in the Netherlands, is published online this week in the Journal of Infectious Diseases. Professor Marion Koopmans, who is Head of Virology at the RIVM and senior author of the study, said: "We developed this technique exactly to be used in the current situation: we wanted a standardised test that allowed us to rapidly compare antibodies to the new virus with those to influenza viruses that we already know are common in people. The level of immunity to a new virus is one of the important questions during any emerging disease outbreak. We need only one drop of blood, so that tests can also be run when only small sample volumes are available, for instance when testing children. For outbreak investigations, testing of animals may be needed, and we are currently working on that. To do the clinical validation studies, we need blood samples from patients (and animals) with confirmed H7N9, and we hope to be able to do that soon through collaborations with other groups working on H7N9." Thanks to Wellcome Trust for this article. This press release has been viewed 1818 time(s).